Blumenfeld was born in Berlin in 1897, and as a young man he moved to Amsterdam. It was there, while keeping a leather goods shop, that he began to experiment with photography and became involved with the Dada movement. He would use the shop’s storeroom as his darkroom, and would display his photographs in the windows. Success in the leather business eluded him, but his confidence with photography grew, and when he relocated to Paris in 1936, he set out on the career that was to make him famous. 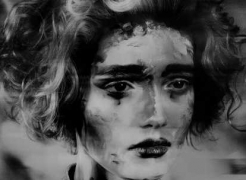 While initially the fashion magazines were reluctant to employ him, the more avant-garde publications like Photographie regularly featured his work. Finally, with the crucial support of the British photographer Cecil Beaton, who was closely affiliated with Condé Nast, Blumenfeld was awarded a contract with Vogue in 1938. 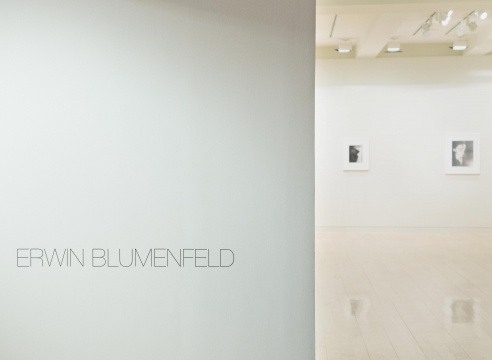 In the summer of 1941, just after his release from an internment camp during the German occupation of France, Blumenfeld and his family emigrated to New York. 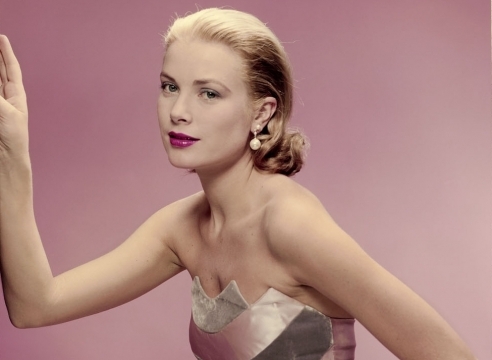 By the 1950’s he was the most accomplished and highest paid fashion photographer in the world. 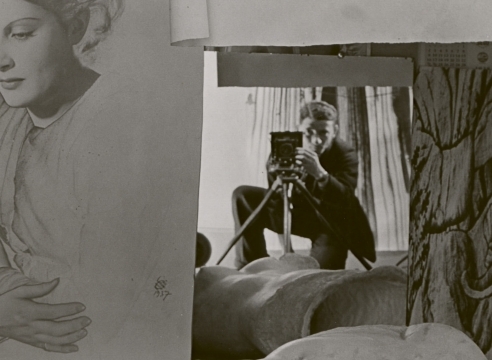 Erwin Blumenfeld: Vive L’Amerique ! 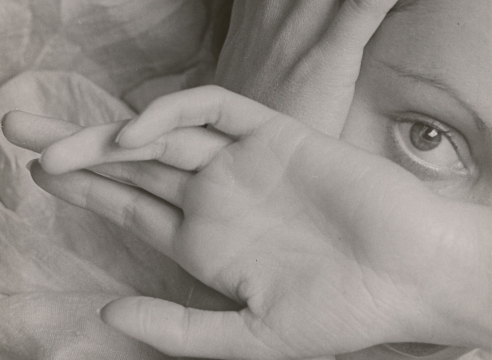 Erwin Blumenfeld had a full retrospective at the Jeu de Paume in Paris in 2013, so the arc of his photographic career, and its movements from Dada and Surrealism into the realms of high fashion, has been comprehensively detailed relatively recently. Given that context, this show takes a smart approach and heads for a narrow theme – the interconnected nature of Blumenfeld’s use of drapery, shadows, and veiling in his photography, primarily as seen in 1930s and 1940s pictures of the female form but also in a few portraits. It’s a tight edit, and that commonality of subject matter allows us to follow Blumenfeld’s experiments with composition and process more closely. Another autumn means another Paris Photo 2017. The art fair is set to open on November 12 at the Grand Palais, where the Edwynn Houk Gallery will present its chosen showcases for the year. Featuring the likes of Valérie Belin, Dora Maar and Erwin Blumenfeld, the gallery is set for another exciting year at this prestigious art fair. Paris Photo 2017 will take place at Grand Palais, and Edwynn Houk Gallery is set to take part in the fair at Booth C22. This is Edwynn Houk Gallery's twentieth year exhibiting at the fair. 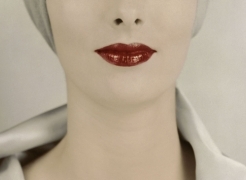 Some thirty vintage fashion photographs, made between the late nineteen-thirties and the early sixties, establish Blumenfeld’s avant-garde ambitions but only hint at the range and the audacity of his work. As one of fashion’s most inventive photographers, he brought a distinctly European sensibility to Vogue and Harper’s Bazaar, where his pictures often put a surreal spin on classical motifs. 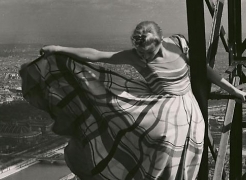 Although the selection is uneven, the photographs here include his famous image of a windblown model perched high above Paris on the Eiffel Tower, as well as experimental work involving doubling, shadowing, high contrast, and darkroom techniques that allowed him to frame his subjects in eruptions of gestural abstraction. Through Jan. 7.